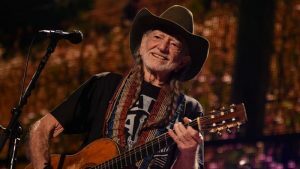 It’s that time of year again, and Austin’s hometown musician, Willie Nelson, continues the tradition of ringing in the New Year at Austin City Limits Live at The Moody Theater with three unforgettable nights of music, family, and friends. Although he’s usually known for his 4th of July picnic, Willie and the family have shifted gears and are carrying on the party for the seventh year in a row. Whether you’re slightly interested or dying to go, don’t wait until the last minute to purchase your tickets! Even though it seems like Willie will perform for us till the end of time, these tickets are being sold like there won’t be a next year, so don’t hesitate! In past years, Willie’s two youngest sons, Micah and Lukas, have opened the show. Micah kicks things off with an acoustic set followed by his older brother Lukas and his rock band “Promise of the Real.” Also joining the act in recent years is Willie’s sister Bobbie Nelson on piano, his daughter Amy on vocals, and nine time Grammy nominee Jamey Johnson on guitar. On top of that, Willie’s set list from 2017 consisted of some of the all-time fan favorites and covers such as “Texas Flood” by the great Stevie Ray Vaughn. With plenty to look forward to in the 2018 show, there’s no reason why you shouldn’t bring in 2019 with Willie. The shows will be held on Saturday, December 29th, Sunday, December 30th, and Monday, December 31st. Doors will open at 6:30pm and the music will start at 8:00pm for the shows on the 29th and 30th. Doors open at 7:30pm and the music will start at 9:00pm for the show on the 31st. And if you’re on the fence about going, just ask yourself, what would Willie do?